As the baby boomer generation nears retirement age, the concept of retirement homes is far from their minds. According to a 2018 study by Houzz, the majority of baby boomers are determined to stay in their own homes for at least another decade or much longer, and they’re investing in renovations for both comfort and leisure. In fact, baby boomers represent a robust 52% of renovating homeowners, and they’re making changes that they can both enjoy now and that will also help them age in place over the years to come. Many boomers are living in homes that are decades old, and the retirement years offer an ideal opportunity to renovate outdated or tired areas of their home. Baby boomers want open, light-filled kitchens to accommodate entertaining, and they are embracing adding technology features to make their lives easier. Two rooms most commonly addressed in renovations for baby boomers are the master bathroom and the kitchen. A top renovation for baby boomers is adding a first floor master suite if their home doesn’t already have one. If there already is a first floor master bedroom and bath, many boomers are updating the style of their bathroom to include some subtle aging-friendly features. The Houzz study showed that 56% of boomers are addressing aging-related needs as part of their master bathroom remodel, but the majority if those, 35%, are renovating for their current needs and style rather than for their most senior years. 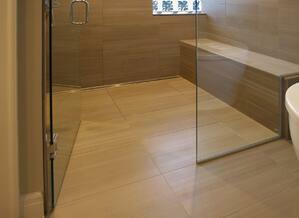 About ⅓ of boomers remove the bathtub to have a more expansive feel in the bathroom. Or, if they do want a tub some of them are choosing to integrate smart technology for the most luxurious soaks. Technology now allows baby boomers to have heated tub backs that allow for longer soaks, synced LED lights that change color with music or synced jets to spray in rhythm, and remote options to fill the tub and adjust water temperature from afar. Many baby boomers are updating their old showers to curbless walk-in showers with premium features like shower heads with digital controls or rainfall heads. Some are also adding bench seats and decorative grab bars to make it easier to move in and out of the shower. Overall, baby boomers are wanting to create more spa-like bathrooms, with mood lighting on vanities, or statement lighting fixtures like chandeliers or pendant lights. Some are also adding bidets. Kitchens are another major consideration for baby boomers who are renovating their homes for the next phase of their life. Boomers are anticipating entertaining more in the kitchen, whether that means with friends who come for dinner or with their family that’s expanding with grandchildren. Baby boomers want open kitchen layouts with lots of light, both natural and from artificial sources. They are opting for larger windows in the kitchen, as well as under-cabinet lighting and task or track lighting to better illuminate multiple work areas. 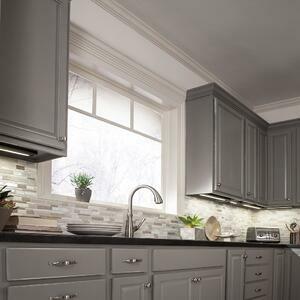 Cabinetry is getting overhauled in most kitchen renovations for baby boomers. Many are choosing customized cabinetry that better suits their kitchen space and their personal style. Some opt for glass cabinet fronts to display treasured items collected over the years, like china, crystal, or unique plateware from travels. Countertops are on most baby boomers’ checklists as well. They’re tired of the old laminate or granite countertop they’ve been working on for years, and are upgrading to natural stone or quartz. An added bonus of quartz is that it requires less maintenance than granite, and is available in a variety of beautiful colors and patterns. Baby boomers today have an eye on healthy living, and as a result are also choosing to incorporate water filtration devices for cleaner water and touchless faucets to reduce the spread of germs. Boomers are also embracing smart technology appliances and incorporating charging stations to update their kitchens for a more convenient, modern lifestyle. The key takeaway is that as has been the case with many of the trends they’ve forged, baby boomers are splurging on home renovations that will help them embrace their retirement years and well beyond. If you’re thinking about renovating your home to enjoy your retirement years in style, we’d be happy to talk with you. Edesia is a Best Of Houzz award winner for client satisfaction in 2017 and 2018. Take advantage of our free consultation and estimate by contacting us online or calling 781.238.8800.